Yoga is a non impact class involving a series of moves called postures. These movements are designed to increase balance, strength, joint mobility and flexibility, and breathing. Yoga is an ancient form of exercise, that originated in India around 5000 years ago.. The postures are designed to strengthen the body, from the inside out. Each Yoga pose is built to re-inforce the muscles that surround the spine, the core from which everything else operates. When the core is working properly, posture is improved, thus alleviating back, shoulder and neck pain. Yoga also promotes balance and can protect against falls in older people. At The Thornbury Clinic we believe that Yoga should be instructed in an intimate environment where the instructor has the time to go round to every individual in the class. This enables the instructor to offer feedback, corrections and slight tweaks to the programme to tailor to your individual needs. Due to this you will find our classes have a maximum of 4 people in a class and are all taught in a specialist Pilates, Yoga and physiotherapy rehab studio. Yoga sessions are mat-based in a intimate relaxing environment. The small class sizes at The Thornbury Clinic, allow exercises to be tailored to your individual needs. With only 4 people in a class you are guaranteed hands on correction as well as a relaxed and personal environment to practise in. It can be easy to perform the exercises incorrectly, which is why it is important to have an attentive, knowledgeable teacher to ensure correct form. 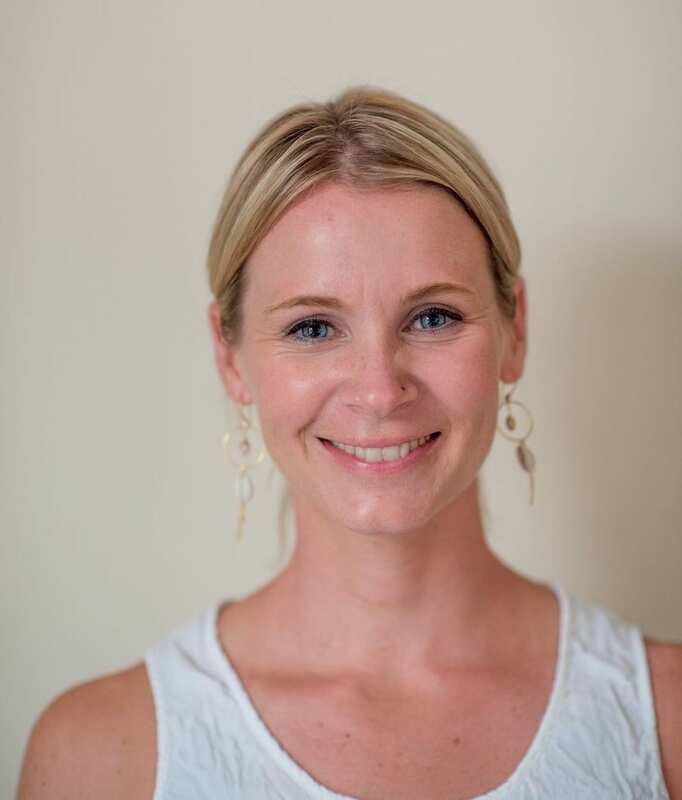 Sarah recently travelled to India to complete her advanced yoga training along with learning techniques that can help rehabilitate both the body and mind. Improved flexibility is one of the first and most obvious benefits of Yoga. When you start to practice on the mat, you may not be able to touch your toes, keep your knee straight when stretching your hamstrings, let alone perform a back bend. But if you stick with it, you’ll notice a gradual loosening and you will ease into poses that initially seemed impossible. Inflexibility in muscles and connective tissue, such as fascia and ligaments, can cause poor posture and pain. Through regular practice, you will notice that aches and pains start to disappear. Yoga also aids blood flow, circulation and gets more oxygen to your cells through breathing practice combined with movement. Twisting poses are thought to wring out venous blood frpom internal organs and allow oxygenated blood flow in once the twist is released. Inverted poses, such as shoulder stand encourage venous blood flow from the legs and pelvis to flow back to the heart, where it can be pumped to the lungs to be freshly oxygenated. This can help if you have swelling in your legs. Physio-led Yoga is for anyone at any level. Clients range from athletes, patients recovering from injury or operation, to those wanting to avoid injury, increase flexibility and improve mental well being. 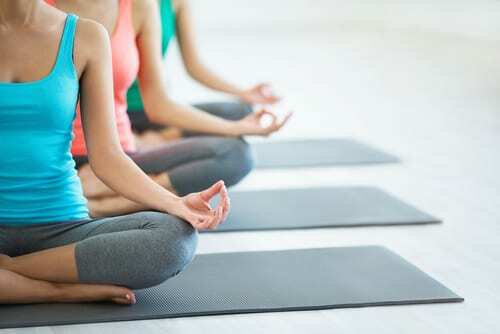 It is a fun and relaxing way to start or end the day and it will leave you with a healthy mind / body connection. .
We have Yoga classes on Mondays and Thursdays with Sarah at 1-2pm and 8-9pm. Sarah also offers private 121 sessions that can be booked on Monday and Thursday through the day. Click here to book a class! Sarah has built a broad repertoire of skills, having worked with sports teams such as Harlequins RFC and as a Senior Physiotherapist in the NHS. She has also gained experience with some of the countries leading consultant obstetricians and antenatal physiotherapists making her a superb physiotherapist for expectant and new mums experiencing pain. Sarah graduated with distinction in MSc Physiotherapy from the University of Southampton after achieving a First Class honours degree in Sports Rehabilitation from St Mary’s University College, London. She also holds instructor qualifications in Pilates and Yoga, having travelled to India to complete her Yoga teacher training.